While grammar is something we learn in the early years of our education, there are so many rules and regulations when it comes to grammar, we can’t know them all by heart. 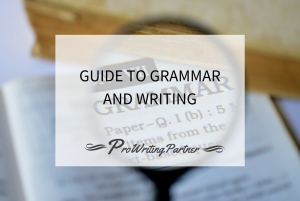 If you’re a writer or simply have to write something on certain occasions, you might want to reach for a grammar guide, to make sure that your writing is on point. And since there are so many aspects to grammar, there is more than one kind of a grammar guide, to make the process of learning and checking grammar faster and easier. Thankfully there’s a large variety of grammar guides that are available to lead us through our writing process. 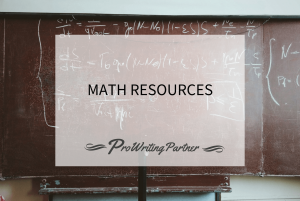 Below you’ll find a helpful list of resources that will help you through your journey with grammar. Dictionaries are crucial for knowing the meanings of each word, and for better understanding of each word. Thesauruses, however, can be considered as additional information about words, with synonyms, antonyms, idioms and phrases included. This thesaurus consists of more than 500,000 words and their synonyms, phrases, meanings and antonyms and it’s easily accessible from anywhere. Whether you’re on your phone or on your laptop, you’ll quickly be able to find any synonym, word or phrase you need. The Merriam Webster Thesaurus is equally popular among native speakers and non-native speakers of the English language and includes more than 275,000 of synonyms, antonyms and idioms. You can also track down definitions of each word, and learn how to use language more effectively; therefore, it can also be referred to as a writing guide. Because British and American English differ in spelling and grammar, you need to turn to a comprehensive dictionary like this one that has all the differences listed in one place. It’s one of the best dictionaries out there for both American and British words. If you need a dictionary and thesaurus in one, this is the ideal website for you. While you can get easy access to all the word definitions, you also get suggestions about the synonyms and antonyms of each word listed in the dictionary. Visit dictionary.com if you want word definitions that are made by analyzing a variety of online definitions. It also has a blog that explains grammar and spelling issues more thoroughly, so if you’re looking for an explanation along with the meaning, this is the number on stop. Grammar myths are what we call grammar rules that once used to mean something, and now they are completely irrelevant. Grammar changes through time, and yet so many people don’t know which grammar rules they should stick to, and which ones they should discard immediately. Here are a couple of useful guides that give you insight into the rules of modern grammar. This page contains all the most common grammar misconceptions that everyone tells you are still valid grammar rules that you should listen to. 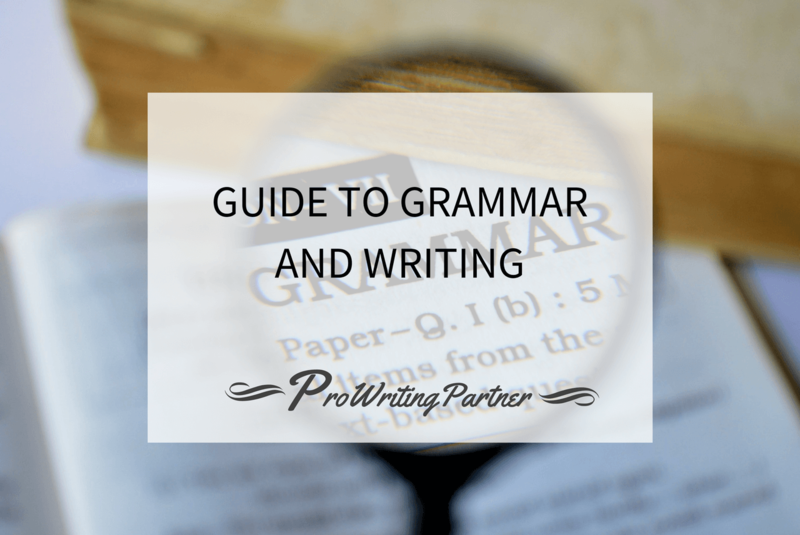 Well, now you don’t have to, because you have a guide that will help you identify stale grammar rules and how to deal with them in the present. Grammar Girl is one of the most popular and fun takes on grammar. This blog covers grammar in a fun way and focuses on explaining which grammar rules are in and which grammar rules are out. It’s especially popular with student, and all those who want to learn about grammar and still have fun at the same time. This handy PDF lists all the grammar rules that are no longer important. It comes with explanations of what each rule used to refer to, and why it isn’t considered a grammar rule anymore. It also comes with a few examples of how it is used now. Want to know quickly what grammar myths are and which ones are the common ones? Grammarphobia will give you that information so that you no longer fret about old grammar rules that are no longer important. If you want to learn which grammar rules aren’t valid any more, but also go in-depth as to why these grammar rules aren’t important anymore, visit this small guide. It’s especially attractive to those who like to know all the detailed information. Turn to grammar usage guides if you are frequently puzzled by the use of certain words, their meaning, spelling or place in a sentence. Although it requires a purchase or a subscription, the Oxford Dictionary of American Usage and Style is concise and precise in providing hundreds of answers to the most common usage problems. It’s supported with examples from top-tier publications. If you’re confused with words that have the same spelling or are pronounced the same, but have a different meaning, this short guide will explain when each of these words is used, why and how you should use it. Washington State University has an excellent section dedicated to the most common errors when it comes to usage. It explains, to the very last detail and comes with amusing explanations and examples. This is yet another guide that focuses on confusing words, their meaning and how they should be properly used. You want to know when to write ‘their’ or ‘there’ or ‘it’s’ and ‘its’. It’s hosted by bartleby.com. This guide consists of a thorough analysis of both American and British English, and offers clear guidance and points for using English the right way. Everything can be easily accessed, and each rule is exemplified with examples from newspapers, journals and books. There are numerous style guides out there, and it all depends on what you’re looking for and who you are writing for. 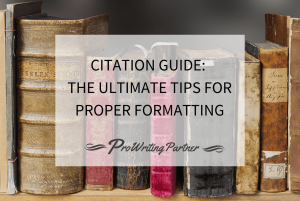 There are basic style guides, as well as style guides for business writers, scientific writing style guides and so much more. Here are some of the most famous ones that are usually used or referenced. This is one style guide that you cannot miss online, and it’s a time-tested guide to style, but also grammar and usage. It basically has everything you need, and then some more, like reference for proofreaders, writers, designers etc. While it can easily constitute as a neat grammar handbook, it’s mostly focused on giving you knowledge and tips on how to write more clearly and style your writing properly so that it’s easily readable. This guide comes in a PDF form, and it’s written by a BBC reporter and editor with 40 years of experience in writing. Instead of focusing on all the do’s and don’ts like most guides do, it encourages you to dive deeper into the complexities of English usage and explore its possibilities. 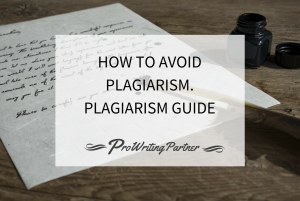 This PDF document is a guide written by the staff, on behalf of the Oxford University and it aims to guide you through your writing and formatting process. You can easily search for specific items that you’re interested in, or scroll through each section and soak it all in. Although native speakers and non-native speakers can use the same dictionary, if you’re a beginner, and English isn’t your native language, you’re going to find the English grammar book too complex. Here are some resources that are easy to understand, with plenty of information packed in, so that you improve your English grammar easily. Non-native speakers often get confused in writing, and this handy guide covers all common writing problems and gives in-depth explanations about each issue and how to solve it. This concise guide is broken down into categories, and enables you to easily find what you’re looking for. Every grammar rule is explained and exemplified. This free service enables you to ask any grammar questions and get the right answers. If you’re a non-native speaker, you can also interact with other users and answer their questions as well. This resource is well-known among students, and it focuses on explaining each part of speech to the last detail, which is ideal for non-native speakers. It also offers grammar exercises, and introduces the reader to writing concepts. The Capital Community College Foundation created this extensive grammar and writing guide that is perfect for all non-native speakers. There are plenty of materials that you can use for learning, and not just grammar. Although the primary focus is on grammar, you can also teach yourself the basic concepts of writing. Thanks! Happy that it was useful! Heya i’m for the first time here. I came across this board and I in finding It really helpful & it helped me out much. I am hoping to present something back and aid others such as you helped me. Thanks for sharing superb informations. Your web site is very cool. I’m impressed by the details that you have on this web site. It reveals how nicely you understand this subject. Bookmarked this web page, will come back for extra articles. You, my friend, ROCK! I found simply the info I already searched all over the place and simply couldn’t come across. What an ideal site. I just added this web site to my feed reader, excellent stuff. Can’t get enough! wohh just what I was searching for, appreciate it for posting. Major thankies for the blog post. Cool. You should participate in a contest for among the best blogs on the web. I’ll advocate this site! What Are the Advantages and Disadvantages of eLearning?